Everything you need to go from a plan to an app. Building an app involves a lot of moving parts. With Zoho Creator, you get a clear way of planning and representing your idea. While we take care of servers and the upkeep cost, you can focus on your business logic. Structure your app from the bottom up. Break down your app by each form and its entities. See how an entity and attribute are related, and how actions affect one another. Control how users access your apps by creating profiles for them. Drag and drop elements to set up your workflows to work automatically. Master the art of rapid app development. Develop your entire app on a drag-and-drop interface. Save time by employing pre-built schedules on your apps. Use default scripts instead of coding from scratch. Repurpose workflows you created in other apps. Embrace visual development in dashboards. Create eye-popping pages with a code-free drag-and-drop builder. Pick panel designs for your dashboards from a gallery of pre-built templates. 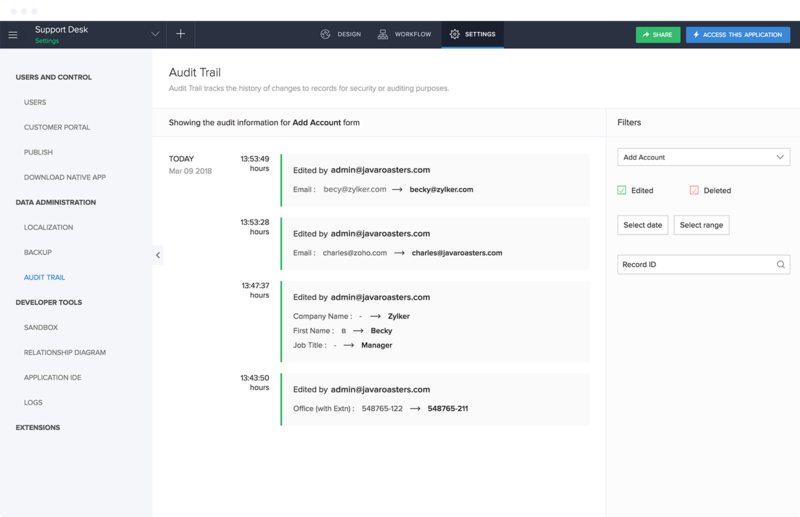 Dive into detailed reports from your dashboards through personalized buttons. Feel free to completely overwrite default HTML and CSS on these templates. Enjoy maximum returns for minimal investment. 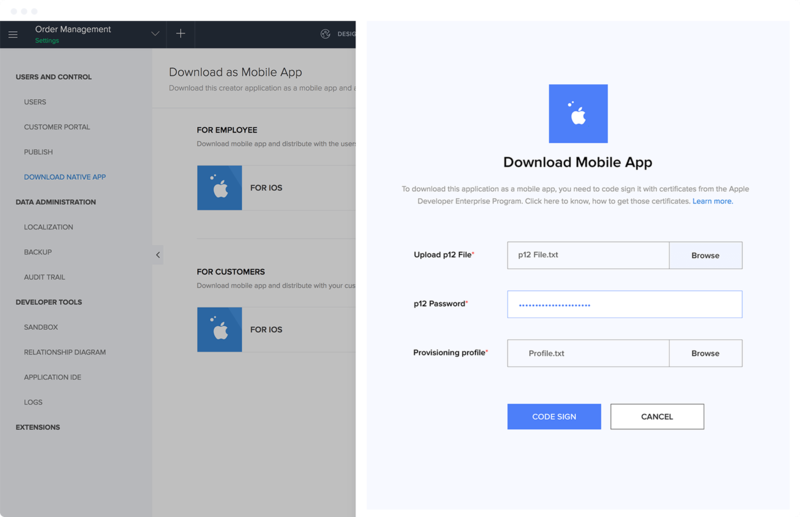 Download free iOS and Android native mobile apps for each custom app. Launch your apps internally on corporate Mobile Device Management (MDM) tools. Customize settings and access apps in your preferred language. 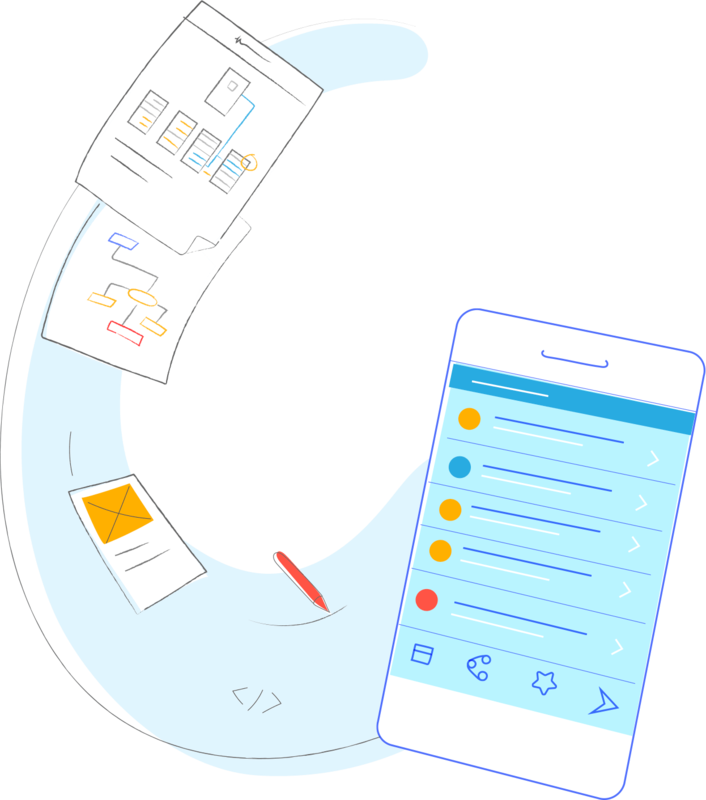 Publish components of your app for customers and outside stakeholders. Set up portals for external vendors and let them log into your apps. Build apps as dynamic as your needs. Audit and track each change made to a record. Back up a version of your app anytime (but know that we've got your back, too). Tweak your apps in a secure sandbox, without affecting live apps.